Introducing the new iOS & Android compatible Guess IQ+, powered by Timex. With technology that syncs to your smartphone, you can track your activity and sleep, create fitness goals and set alarms without the need to charge your watch. 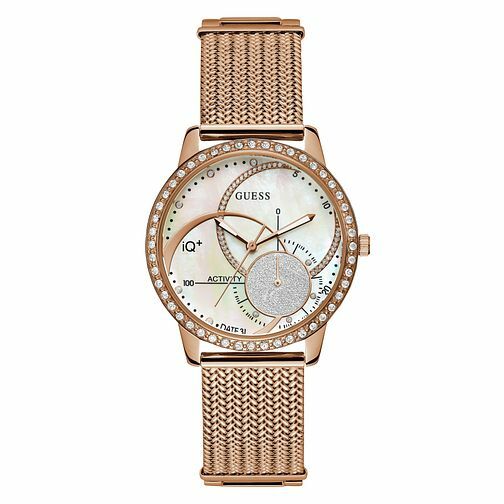 This ladies' Guess IQ+ watch features a 41mm brushed and polished rose gold tone case with crystals, a mother-of-pearl dial, silver glitz sub-dial and a brushed and polished rose gold plated mesh bracelet.